The 40sqm (430sqft) Junior Suite is located on the first floor of the main building and is accessible by elevator. 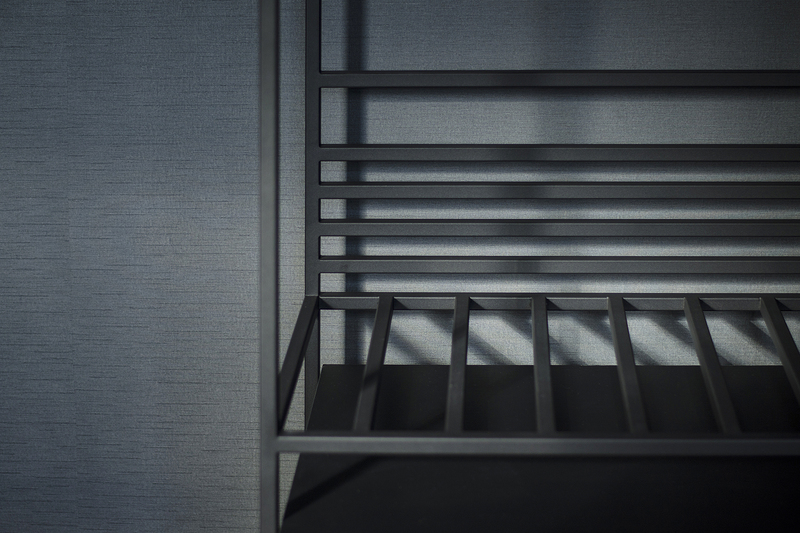 It has a closet designed by Daphna Laurens, a small table and two comfortable lounge chairs. 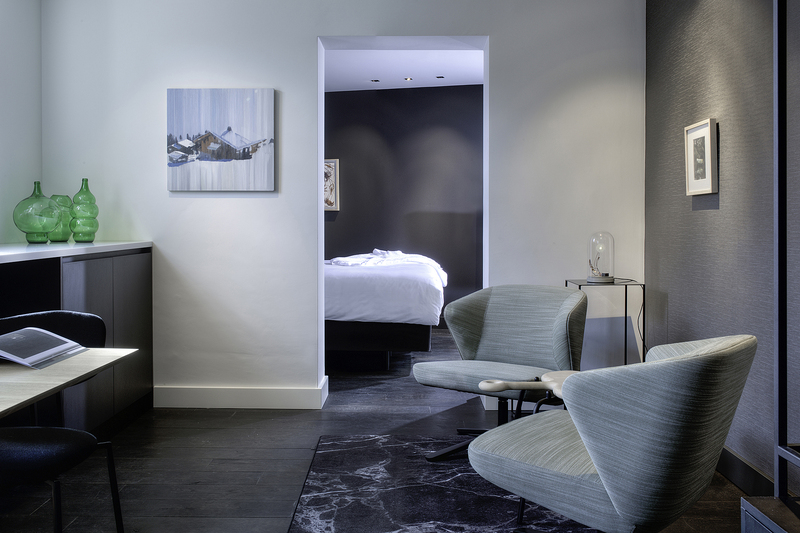 The room is furnished and decorated with contemporary art and Dutch design by leading creatives, bringing color and the Zeitgeist (the spirit of the time) into the room. 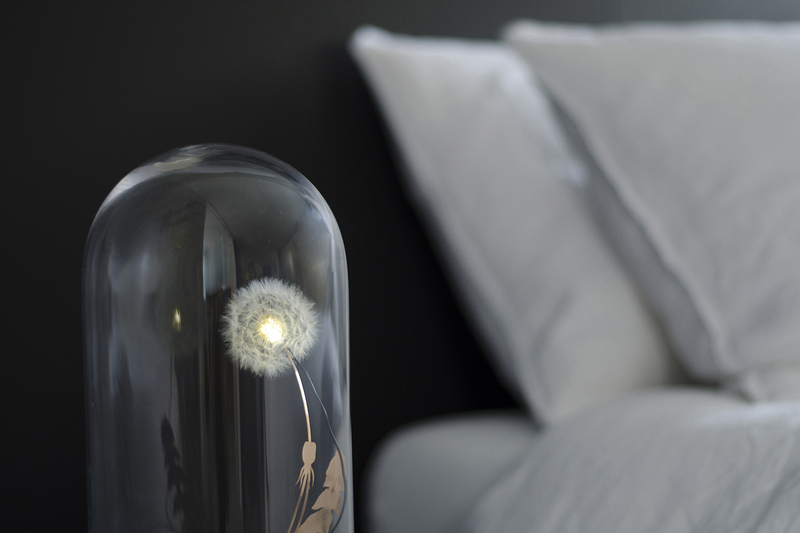 Highlights for example are the Microcosmos wallpaper by BCXSY for Calico and the Dandelight lamp by Studio Drift, that is made of a real dandelion. 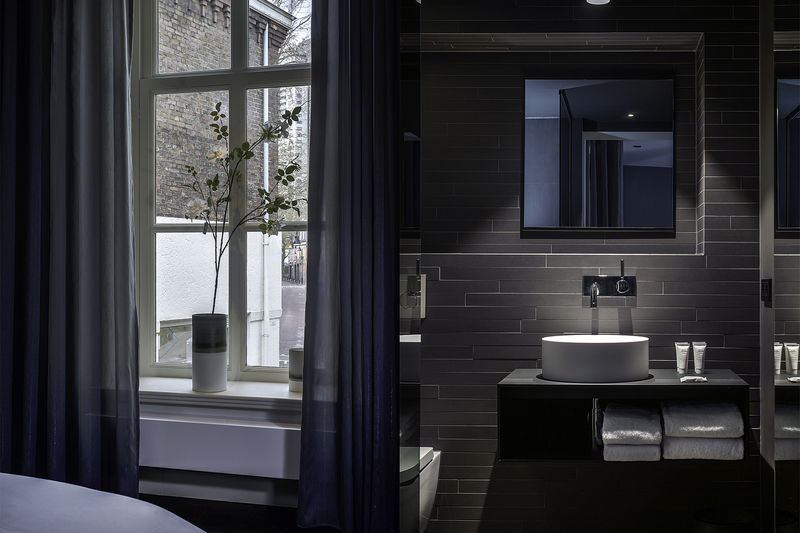 The bathroom has beautiful black tiles by Mosa and a spacious rain shower.